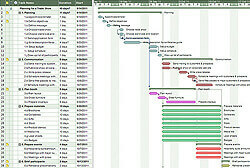 A Gantt Chart Software programs available, and here is a Gantt chart sample from Matchware MindView. Free Gantt Chart Sample in the MindView trial. Download now. As technology improves, there is a lot of information online about creating Gantt Charts, and Gantt Chart Samples can be found from various sources. The problem is that most Gantt Chart samples are static, lacking crucial productivity elements. 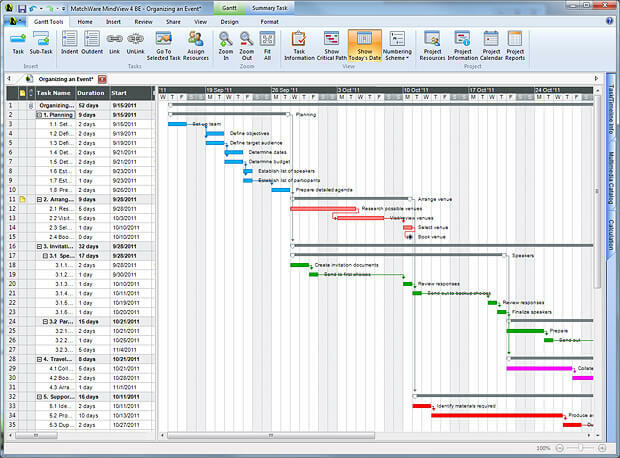 A Gantt Chart Software program should be dynamic, easy to update, and fully integrated with programs like Microsoft Project®. 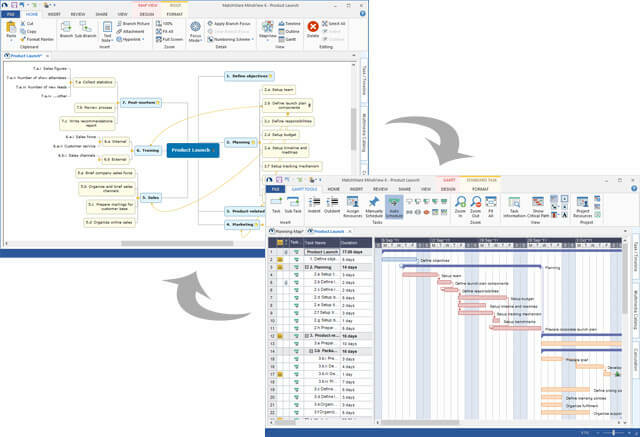 Why start in a Gantt Chart when a program like MatchWare MindView lets you start in a Mind Map or a Work Breakdown Structure and convert to a Gantt chart. This helps to visualize tasks, recognizing problem areas and get an overall picture of the project scope. 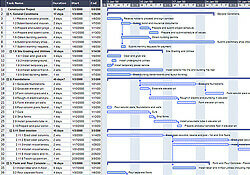 MindView also comes with a number of professional Gantt Chart samples. If you are looking for an efficient and productive way to create a Gantt Chart, or are looking for professional Gantt Chart samples, be sure to check out MatchWare MindView.